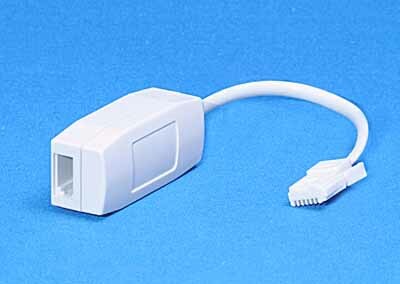 ADSL BROADBAND TELEPHONE FILTER - Telephone Extension Cables, RJ11 Modem Cable & Accessories RJ11 ADSL Cables. These filters are must be used on each telephone in your home when using broadband. They have a standard BT type plug and socket. Currently viewing: ADSL BROADBAND TELEPHONE FILTER - Telephone Extension Cables, RJ11 Modem Cable & Accessories RJ11 ADSL Cables.